This contemporary-style townhouse is located at Mallard Lakes ... An amenity rich community close to the beach. 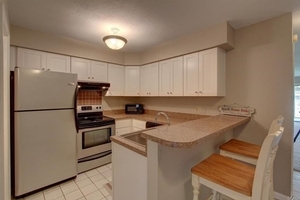 Recent updates include new kitchen cabinets and countertops, S/S appliances, carpeting, W/D and new windows in 2015. Amenities include multiple pools, tennis, basketball, hot tub, walking trails, volleyball, shuffle board playgrounds, 3 freshwater and 2 saltwater lakes for fishing and crabbing. Easy walk or bike ride to restaurants and shopping.